This all-in-one solar lamp post / street light is supplied with a 15 Watt, 1500 Lumen lamp head and a 10' or 15' black powder coated steel pole. 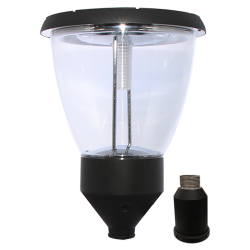 The light automatically illuminates at dusk and will run through the night. This lamp can illuminate an area up to 50' diameter. 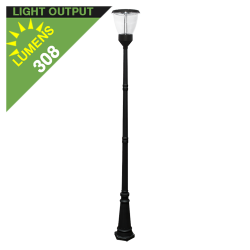 At dusk the light will automatically illuminate in full brightness mode (1500 Lumens). 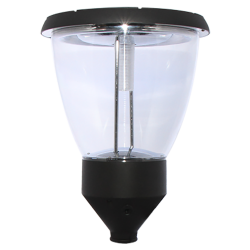 After 5 hours in bright mode, the light will switch to 25% brightness (375 Lumens) for the remaining hours of the night. This lamp post consists of an aluminum lampshade, fitted with three clusters of powerful LEDs that provide 360° of light. 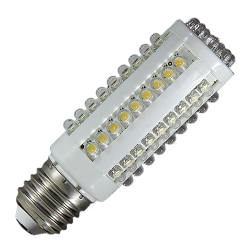 All parts of this light are fitted within a compact, easy to install fixture. A 35 Watt solar panel is built in to the top of the lamp, with a lithium rechargeable battery and charge controller installed within the unit. Three clusters of 16 LEDs are evenly distributed around the under-side of the light fixture. 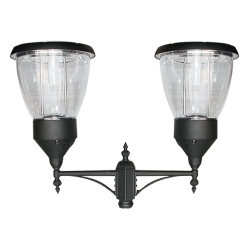 This compact, all in one light fixture easily attaches to the top of the pole by tightening four bolts. 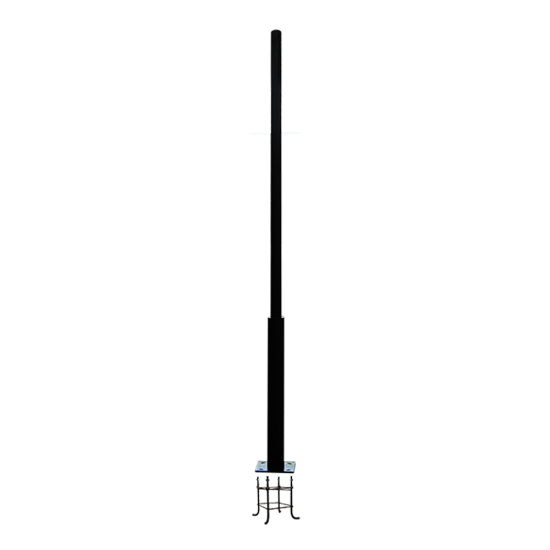 Your choice of a 10' or 15' pole is supplied with the lamp. An anchor kit is supplied with the poles. Color of light output is white. Color of product is white / gray and the color of the pole is black or gray. 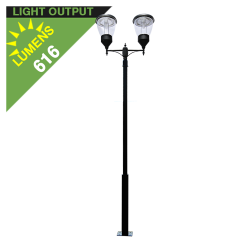 This lamp post light can be used to replace a lamp that is damaged or where the electric cable is defective. A popular choice with private developments, communities, parks, and local authorities. This product can also be used for driveways, footpaths and general public areas etc. 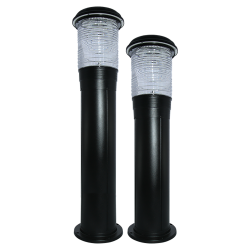 Capable of illuminating up to a 50' (15m) diameter. A 35 Watt solar panel is fitted on to the top of the light fixture. Approximate Illumination Area Up to 50' (15m) diameter.